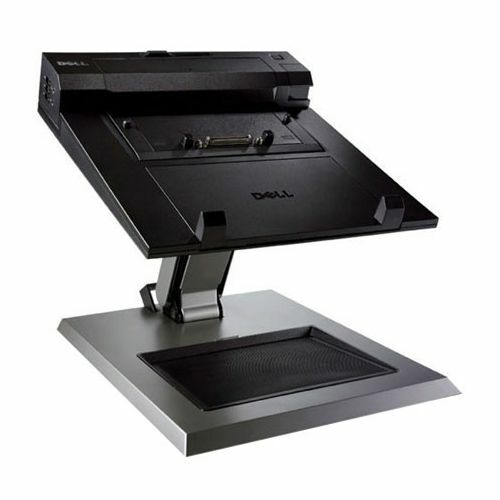 Make the most of your valuable workspace with this E-View Laptop Stand from Dell™. Easily adjust the height and position to a comfortable, ergonomically appropriate position. This product has been tested and validated on Dell systems. 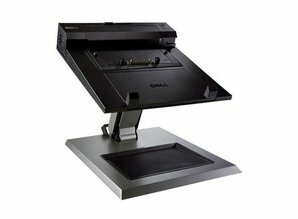 It is supported by Dell Technical Support when used with a Dell system (Not compatible with Latitude E5500). Port replicator displayed in the image is sold separately. Please purchase 430-3113 if interested in the port replicator for a full docking solution.